Our clients want the best possible representation. They want their problems solved. We work hard to achieve their goals. Our 48-hour callback policy, Keen Client Contract, and our affirmative client contact policy set us apart to help our clients know about the status of their cases. Since 2002, Keen Law Offices has helped thousands of clients achieve their goals. Our team approach to a case ensures the client will benefit from the legal experience of every firm member. Our lawyers teach other lawyers, fight difficult cases, and have even changed the law for the better. Get an experienced partner in your legal case by contacting Keen Law Offices, LLC. We want clients who want to win. We want to win. We will give you our honest assessment up front, and tell you what it takes to win. We accept very difficult cases for the right type of client. Our client results speak for themselves. Employers - NOW is the time to file if you want H-2B workers for April 2019! If you are facing being separated from your family, daunting criminal charges, or possible deportation, we can help. The Salt Lake City immigration lawyers at Keen Law Offices, LLC have immense experience representing U.S. citizens, permanent residents, temporary immigrants and undocumented aliens in many aspects of immigration laws. Whether you are seeking U.S. citizenship, facing deportation, or need help bringing your family to the United States, our immigration lawyers in Utah County are here to help. No immigration-related case is too simple or complex for our team and we can even represent immigration clients who are charged with a variety of crimes. We are passionate about assisting our clients in any way possible, which is why Keen Law Offices, LLC, has assisted immigrants for more than a decade. Our firm is solely dedicated to all things related to immigration, including criminal immigration cases. Our firm has the skills and experience needed to help clients achieve their American dreams. Immigration law is undeniably complex and it can be challenging to achieve your desired outcome on your own. Fortunately, you don't have to. Our firm is here for you every step of the way. 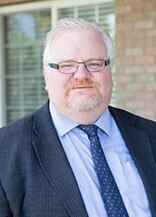 Mr. Carter's practice involves representation of clients in appellate matters. Mr. Carter has represented clients in petitions for review before the U.S. Court of Appeals for the Tenth Circuit. He also has drafted briefs to the Board of Immigration Appeals, and he is admitted to practice before the Utah Supreme Court, U.S. District Court for the District of Utah, U.S. Court of Appeals for the Tenth Circuit, U.S. Court of Appeals for the Ninth Circuit and U.S. Supreme Court. Ms. Seminario is a native of Los Angeles. She moved to Utah in 2006 after serving a mission in the Canary Islands for the Church of Jesus Christ of Latter-day Saints. She attended the University of Utah, where she earned a B.S. degree in Finance, after which she attended the J. Reuben Clark School of Law. As a law student, Ms. Seminario worked as an intern for the Provo Public Defender's Office and Liberty Law, PLLC. She also volunteered for Centro Hispano, a non-profit organization, where she assisted clients with immigration-related issues. 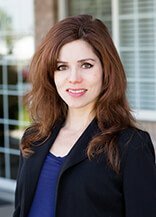 Since law school, Ms. Seminario has focused her practice in immigration law, where she has gained valuable experience in family-based adjustments, immigration benefits, consular processing, removal defense, and U-visa/VAWA cases. 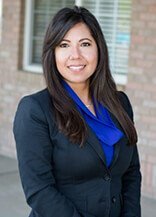 In addition to immigration, Ms. Seminario has expanded her practice to include bankruptcy and family law. Ms. Maldonado is a graduate of Brigham Young University, where she earned her B.A. in Linguistics and later her Juris Doctor degree. During her time at law school, she worked for Keen Law Offices as an intern, assisting with immigration benefits and consular processing cases. She also clerked for the International Center for Law and Religion Studies, where she researched and published on law and religion issues. Ms. Maldonado is admitted to practice before the Supreme Court of Utah. At Keen Law Offices, LLC, we will not take your money unless we believe we can help. We understand how hard it is to be separated from your family and how daunting it can be to face criminal charges or possible deportation. If we take your case, we will give you honest answers, explain what you need to do, and stand with you every step of the way. It is our goal to successfully resolve every client’s case and we will do everything possible to achieve your goals.